I recently attended a conference at Clare College, Cambridge, organised by The Round Table: The Commonwealth Journal of International Affairs, considering the role of the Commonwealth in 2019 – its challenges and opportunities. The Commonwealth still struggles to an extent to articulate its role and significance in international relations. One session, which included myself as a presenter, had the title “A Less Valuable Connection? The Commonwealth in the post-Brexit era”. The session had the objective of considering whether the Commonwealth as an institution, and via its member states, can fill the gap (or at least partially fill the gap), which will be created by Brexit (in whatever form that takes). My focus was primarily on the Caribbean – both sovereign and non-sovereign countries – to assess briefly the direct and indirect impacts of Brexit; before going onto consider how the Commonwealth can perhaps help mitigate the consequences we are likely to see. I would like to use the rest of this blog to provide an overview of my presentation and what role, if any, the Commonwealth can play going forward. Let us start with the impacts, and likely impacts, of Brexit on the Caribbean. The most significant consequences will be seen for the Overseas Territories of the UK – such as the British Virgin Islands (BVI) – who will likely lose free access to the EU single market; tens of millions of euros in EU bilateral and regional aid; free movement across the EU or at least the restriction of that benefit; and the shutting down of important avenues of dialogue with the European Commission. So far the UK government has provided very little clarity about what comes next. A commitment has been made to make good any shortfall in EU funding up to the end of 2020, but nothing more than that. As a consequence, there are concerns that trade will be hit and funding will be less and possibly based on a competitive bidding process; at present EU aid is allocated through negotiation and dialogue. Brexit has also implications for the independent Anglophone Caribbean – in two key respects. First, there is little detail about what a future trading relationship might look like between the UK and the Caribbean, once the UK extracts itself from the Cotonou Agreement and the associated Economic Partnership Agreement (EPA) that links Caribbean countries with the EU. In the short-term there will likely be uncertainty and disruption; then perhaps adoption of an EPA – equivalent deal in relation to tariffs, standards and regulations. Beyond that, who knows? But could the Caribbean get a better deal from the UK than they presently have with the EU? If Defence Secretary Gavin Williamson’s aim of a UK military base in somewhere like Montserrat or Guyana comes to pass, then perhaps the region can ask for concessions from the UK. Second, there are the continuing relations between the Caribbean and the EU (without the UK). The renegotiation of the Cotonou Agreement has just begun, but there are challenges for the region – now fewer natural allies in the EU; less money as the UK contributed 15 percent to the key European Development Fund; and suggestions that the Anglo-Caribbean could be linked more formally to Cuba or with Latin America more generally. Thus their long-held particularism is potentially under threat. So what role post-Brexit for the Commonwealth? Let’s begin first with Commonwealth states, and especially those within the Caribbean. There are some interesting developments here, which suggest that the Anglophone, Francophone, Hispanic and Dutch states and territories are working more closely together. For example, the Caribbean Community (CARICOM), made up primarily of Anglophone states, is considering associate membership for the Dutch and French territories. The Organisation of Eastern Caribbean States (OECS), a small sub-grouping of Anglophone countries, made Martinique (a French territory) an associate member in 2015. Today, relations are being strengthened more generally between the OECS, the French territories and France in areas such as illegal immigration and people smuggling, narcotics and interdiction, and relaxing the rules for the movement of people. Further, CARIFORUM (CARICOM & the Dominican Republic) has recently accepted the BVI as an associate member. So across the Caribbean, Commonwealth member states are linking up with overseas territories, providing a deeper level of cooperation across the region, whilst also trying to develop innovative ways of engaging with the EU and its member states. Finally what of the Commonwealth as an international organisation? At the moment the Foreign Affairs Committee of the House of Commons is undertaking an inquiry into the UK Overseas Territories. I looked through the large number of oral and written pieces of evidence that have been given to see how often the Commonwealth is mentioned. It is only a handful. At present it is clear that the Commonwealth, which has a membership of sovereign states only, is not seen as a key interlocutor for the overseas territories. However, there is a desire to change this. But how? 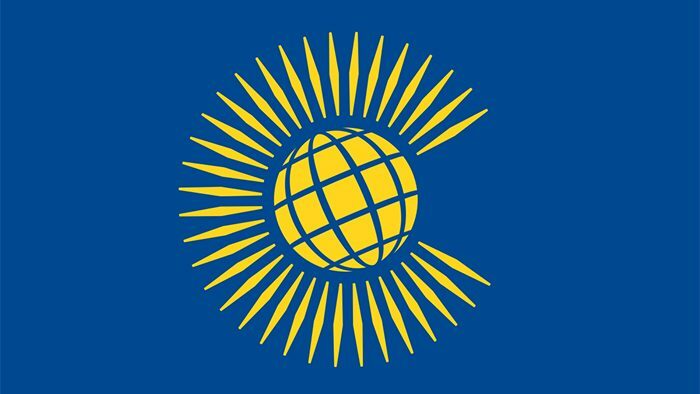 There are certainly informal ways that the Commonwealth has and can further develop that role, via for example the Commonwealth Parliamentary Association and using its good offices, in tandem with member states, to assist with constitutional reform – a big issue for the overseas territories at the moment. Could for example, New Zealand with its self-governing states of the Cook Islands and Niue show the way for greater local autonomy in the UK territories? But perhaps more importantly is whether a more formal relationship can be established between the UK overseas territories and the Commonwealth. At the moment there is no such relationship, but this has been discussed for many years. In 2012, for example, the Foreign Affairs Committee undertook an inquiry into “The Role and Future of the Commonwealth”. Some who gave evidence suggested that the Commonwealth should be more accommodating towards the territories, while others said that would breach the core requirement of membership – sovereignty, and that member states would be concerned about the broader and more informal role of the UK government via the territories in Commonwealth affairs. But I think the Caribbean is showing the way and appreciating the benefits of deeper formal cooperation around climate change and sustainable management of the natural environment, education, health, and tourism, and not being so concerned about the issue of sovereignty (although it does rear its head from time to time). If it is thought that associate membership is a step too far for the Commonwealth, then perhaps the organisation should look at how the EU manages its overseas countries and territories. They are associated with, but not associate members of, the EU – through something called the Overseas Association Decision. There are discreet arrangements and mechanisms for the territories, but where appropriate they can link in with common EU rules and practices. So the Commonwealth should consider this option to bring together and more closely align the territories of the UK, New Zealand and Australia with itself. Brexit will cause a rupture, but the Commonwealth has a role to play, and with some imagination and boldness can enhance its role further in helping to support the UK overseas territories and the Anglophone Caribbean in the more difficult years to come. Dr Peter Clegg is Head of the Department of Health and Social Sciences at the University of the West of England, Bristol. He has been a Visiting Fellow at the Institute of Commonwealth Studies in London, and a Visiting Research Fellow at the Sir Arthur Lewis Institute of Social and Economic Studies (SALISES) at the University of the West Indies in Jamaica.